Applications allow businesses to fundamentally change their model and become more agile, efficient, and profitable. At Cubes we're all about partnering with you. As your dedicated web department we execute your ideas into robust web and mobile applications. Our team consists of software engineers with 150 + years of combined team experience in all major platforms. This gives our clients options of best programming languages for their project. Innovation is at the core of our company’s DNA. We’ve published web based products ranging from mission-critical business applications to custom social networking platforms – built from scratch! Our unique web department model gives our clients a tremendous advantage. It allows our clients to only pay for the hours they utilize and on a month-to-month basis without a large initial investment. We essentially become your go-to web department, learning everything we need to know about your business objectives, and then assigning a fully managed team to execute. 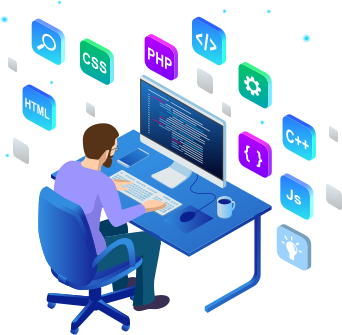 Our clients leverage our 15+ years of expertise in web and mobile app development, to help them avoid common pitfalls in platform, security, and architecture. With a history of providing custom web and mobile app solutions for business leaders, Cubes is uniquely qualified to support your project with in-depth market analysis and go-to-market strategy.